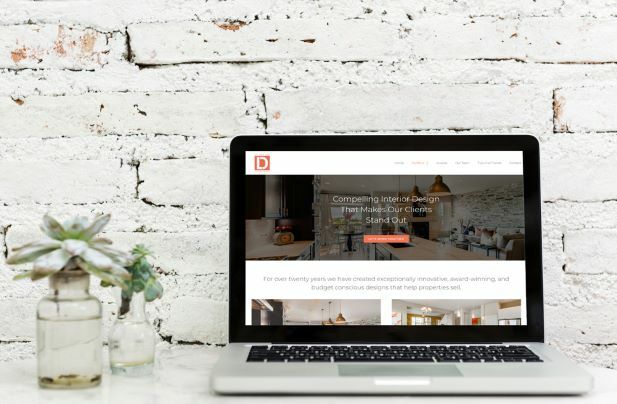 Lita Dirks & Co. (LD & Co.), nationally renowned award-winning interior design and merchandising firm unveils redesigned website. Explore the new LitaDirks.com website. Fresh design and intuitive navigation for an improved user experience. We are incredibly excited and proud to launch our revamped website. Our designers create such extraordinary spaces that help buyers visualize their dreams and we wanted to be able to showcase that work in a streamlined, clean, and accessible way. The redesign allows us to do just that and includes web development work that provides a more engaging user experience and enhanced navigation to help our visitors easily find the information they need." In an effort to create a more engaging user experience and meet the needs of their growing client base, Lita Dirks & Co. retained the expertise of 5Weight Digital Marketing to revamp their website, LitaDirks.com. The refreshed website responds to the needs of the market by focusing on creating an exceptional user experience on desktop, mobile, and everywhere in between. With responsive design, a fresh look, and intuitive navigation, the company’s “new” website, makes it easier for builders to find and work with LD & Co. Additionally, it creates a seamless and enjoyable experience of viewing LD & Co.’s years of award-winning work. The firm encourages visits to LitaDirks.com to view recent design projects, find helpful tips and trends, and discover how Lita Dirks & Co. works with builders and developers to create inspirational spaces that help sell homes. Lita Dirks & Co., the highly-acclaimed interior design and merchandising firm has successfully partnered with builders and developers to create communities that excite buyers and sell homes. For over 20 years Lita Dirks & Co., has designed award-winning model homes, clubhouses, apartments, and sales/design centers that have resulted in successful sales, happy homeowners, and long-term relationships with their clients.